Lynn A. Lewis Foundation (LLF) is a non-profit group that was founded in 2009. 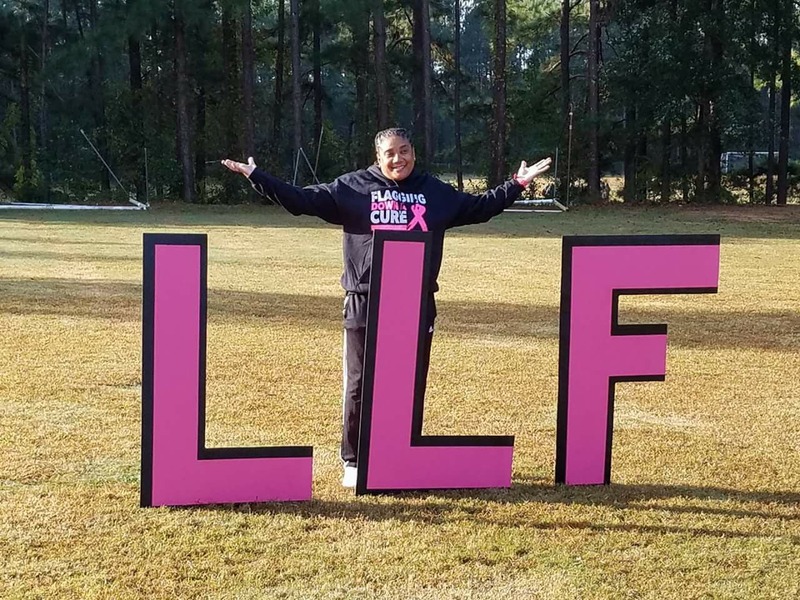 The Lynn Lewis Foundation is a non-profit organization dedicated to promoting female football leagues across the country and supporting the fight against breast cancer and other rare cancers. Mission: Our mission is to provide an avenue of promotion Breast Cancer awareness while education women and girls nationwide about the fight against breast cancer, in addition to, providing a platform to empower women and girls advocating health, fitness, innovation, social and life skills. 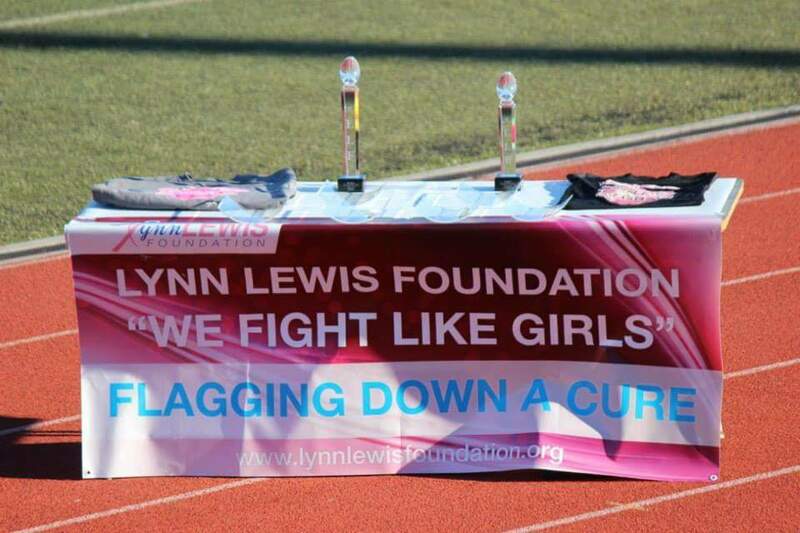 Goals: Throughout the year the Lynn Lewis Foundation host a number of events within the community to raise awareness and funds to support their mission. These events bring awareness to breast cancer and other rare cancers in our community such as carcinoid , ovarian, and thyroid cancer. 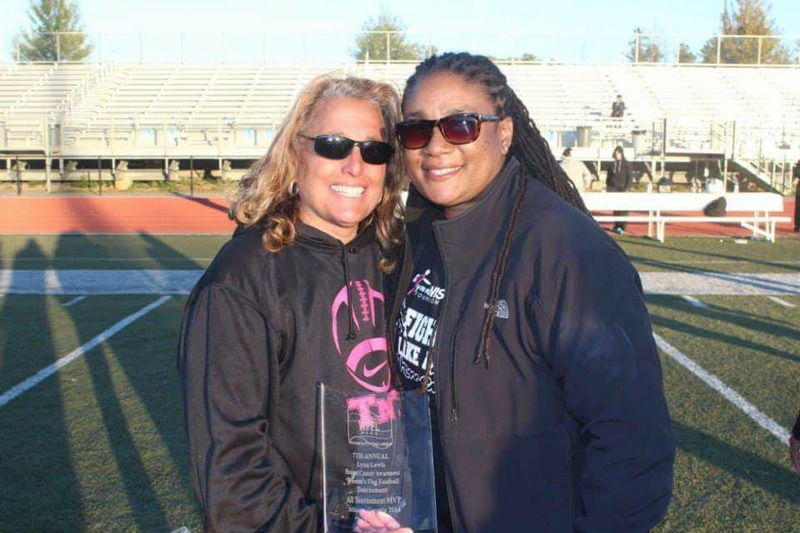 The Lynn Lewis Foundation hosts an annual flag football tournament that features athletic & competitive women's teams from across the world to support this Noble Charity. We are passionate about the fight against breast cancer. We are driven by that passion to prevent the disease from disabling the family unit and crippling the family's quality of life as it relates to daily activities and routines that have become a normal part of life. Breast cancer can and often will have a negative impact, but the Lynn Lewis Foundation is determined stop cancer from taking such a devastating toll on children and other family members that support breast cancer patients. Our approach is unique and our commitment is unwavering, as we are thankful for the opportunity to join the fight for a cure.